FCSH-NOVA is one of the leading institutions in Portugal in the training of doctoral students all its PhD programmes have been redesigned in compliance with the Bologna guidelines, creating a diversified set of curricular options. FCSH-NOVA is a pioneer institution in what concerns interdisciplinarity and dissemination of research through cultural events. Since its creation, the articulation between different domains within the social sciences and the humanities has been a strong part of its mandate. It is known for its productive collaboration between historians, sociologists, anthropologists, geographers, philosophers and communication experts, all areas included in the Performigrations Project. This successful collaboration is reflected in a strong network of R&D units. For this project, Instituto de Etnomusicologia – Centro de EStudos em Música e Dança (INET-MD) will be the leading unit in consideration of its expertise and international reputation on ethnic music and sound. INET-MD at FCSH-NOVA will contribute content to the Performigrations Art-Installation, including audio-video materials & interviews with leading artists in Portugal, Europe and Canada. Also, it will contribute expertise on folk music and dance within migration memories. It will also: select artists representing Portugal to implement the Art-Installation; co-ordinate the art-installation exhibit, in collaboration with the associate Portuguese partners; organise and promote the related cultural events (focused on migration folk and ethnic music, featuring artists from Portugal and from Canada); serve in the project Scientific Committee; support project fundraising and promotion at a local & international level. 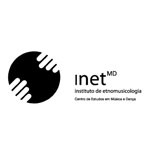 INET-MD will also contribute to the communication and promotion activities in Portugal through the organisation of dissemination seminars/conferences.